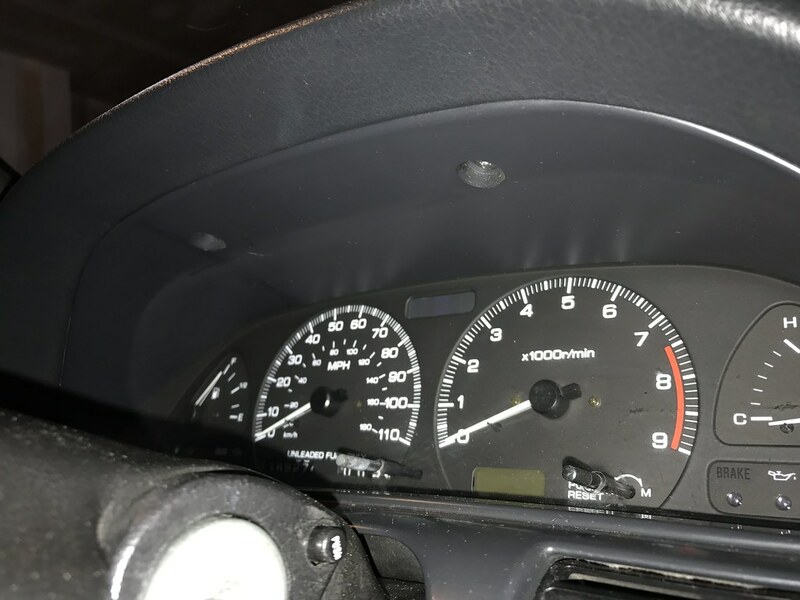 It’s been a little difficult to document and keep track of everything going on with my car lately, but I’m doing my best to post content in a way that makes sense. It’s difficult for me since I’m pretty OCD and this is all happening in real time. 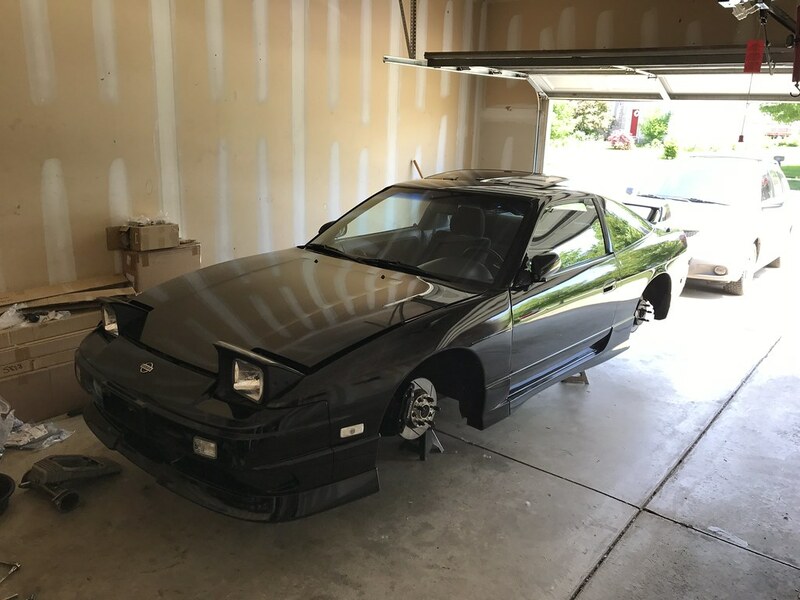 I’d like to post about each specific area of the car in one all encompassing post, but I am still waiting on a number of parts for each area- some of which I have not ordered yet- which makes that fairly difficult to accomplish. To be completely honest, I haven’t really been feeling it this week. As anyone that harbors an obsession for S chassis cars will tell you, the passion tends to come and go in waves. My car is currently taken apart as I address a few things at once that have needed my attention, so that might partially be the source of my frustration. I also injured my tail bone a couple weeks back while riding my bike (wow, am I seriously getting that old?) and that has made driving the S13 less than enjoyable. I’ll do my best to step back from the car for a few days and come back to it when the motivation has returned like it always seems to. 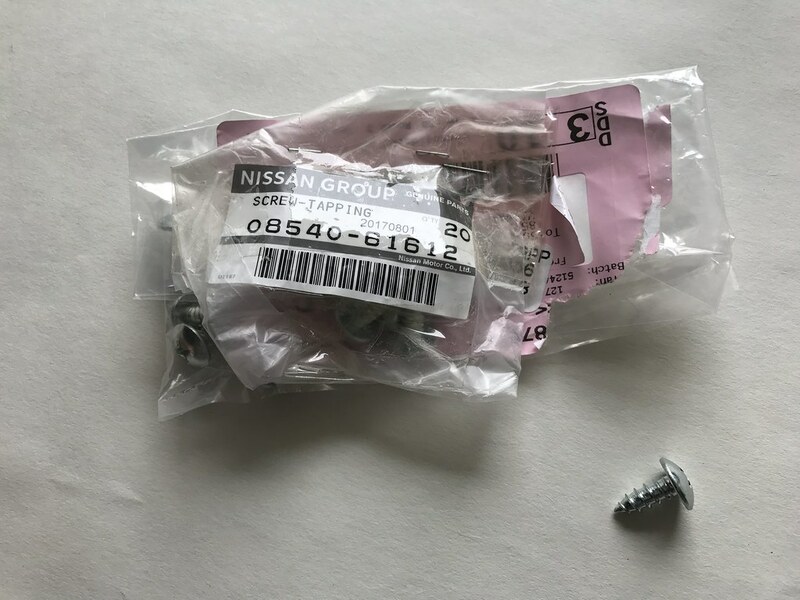 Anyway, I received a fairly large order of miscellaneous parts from Nissan last week that I figured would be good to document. 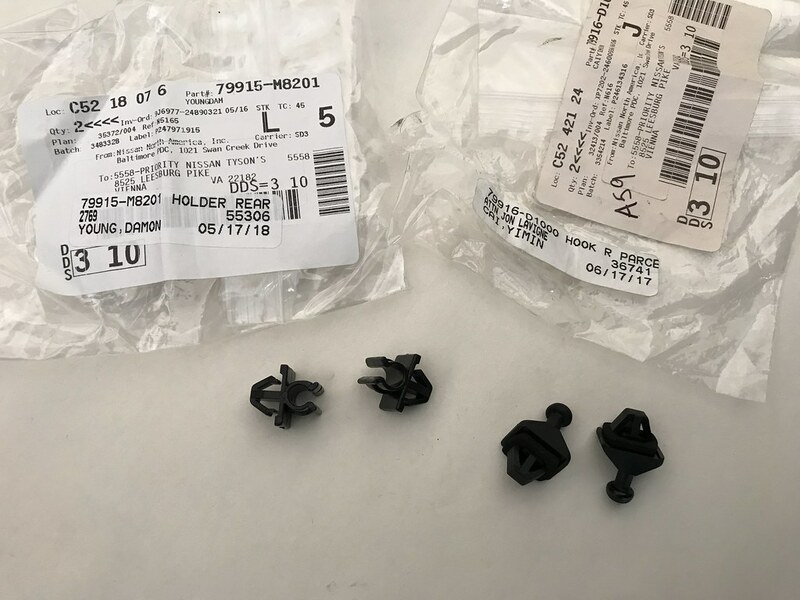 The parts guys weren’t too happy with this order as it contained a ton of little clips and screws, but thankfully they came through and tracked them all down for me. The first area I started with in this wave of updates was the rear hatch. 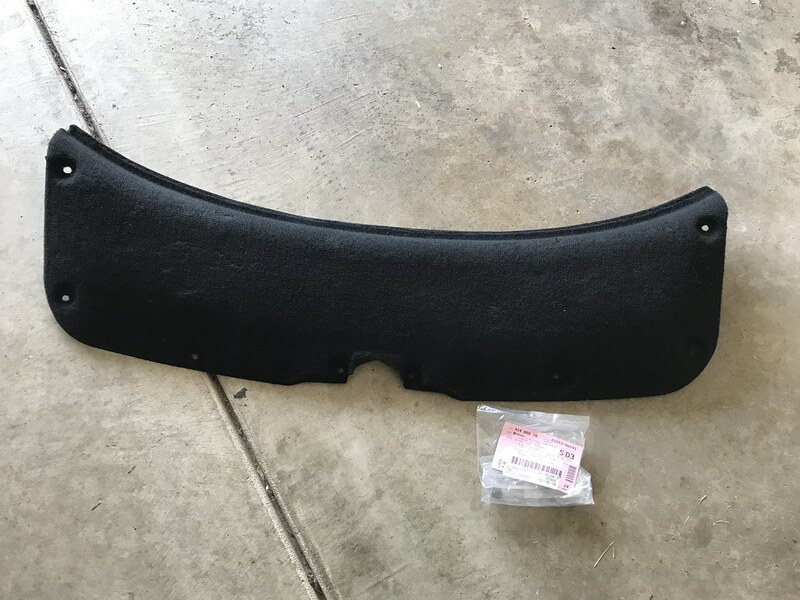 I’ve been missing the clips for my rear privacy cover for a long time now and was finally able to track them down. 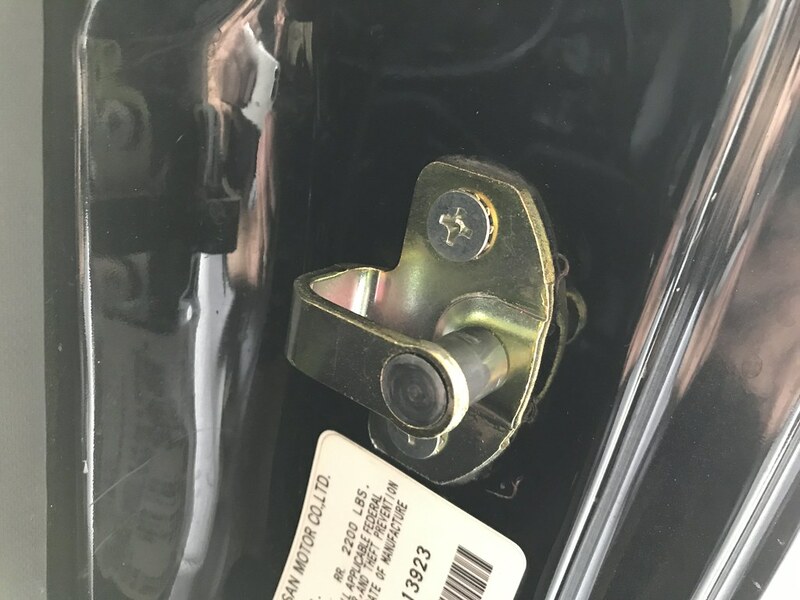 There are two hinge clips that attach to the rear speaker covers, and two clips with ball studs on them that attach to the hatch itself. I was only missing one of the four clips but ended up replacing all of them for peace of mind. So cool to have a fully functioning privacy cover. 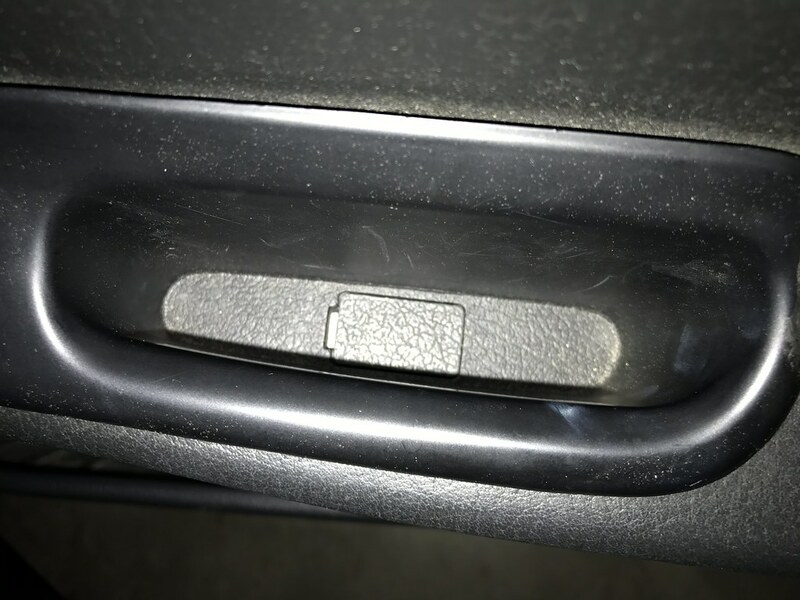 Another thing that has bothered me for a long time is the clips I was using on the rear hatch panel. 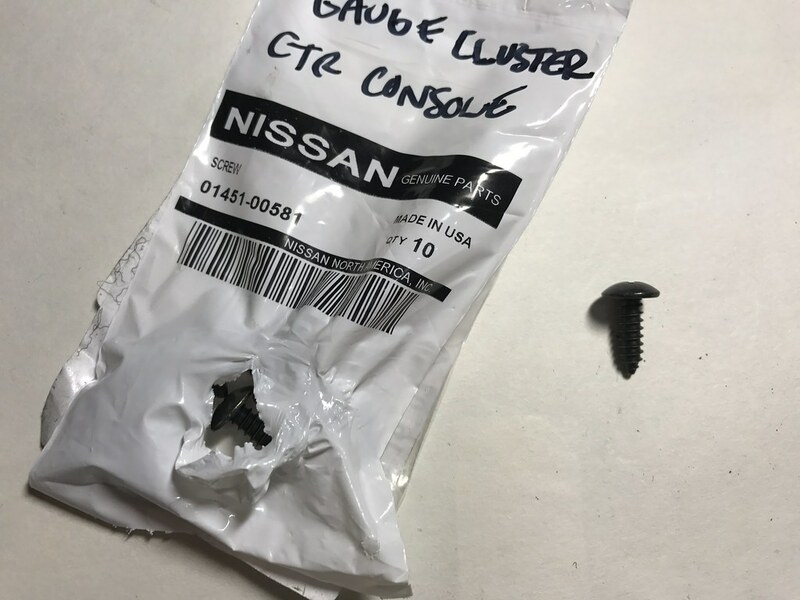 Broadfield gave me some generic automotive clips to hold this piece on many years ago, but I went ahead and ordered the actual Nissan clips to install it. 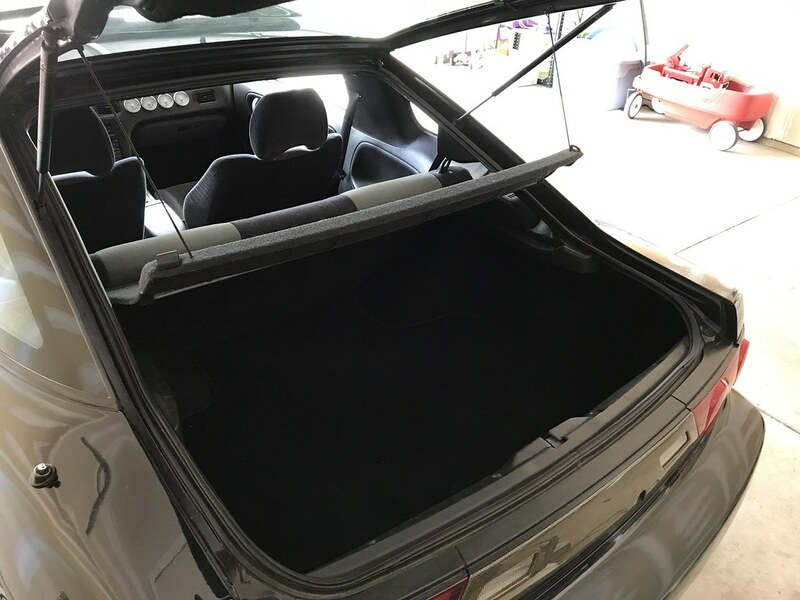 While I had the panel off, I dyed it black with Duplicolor fabric spray to match the other rear hatch panels I dyed in my previous interior post. 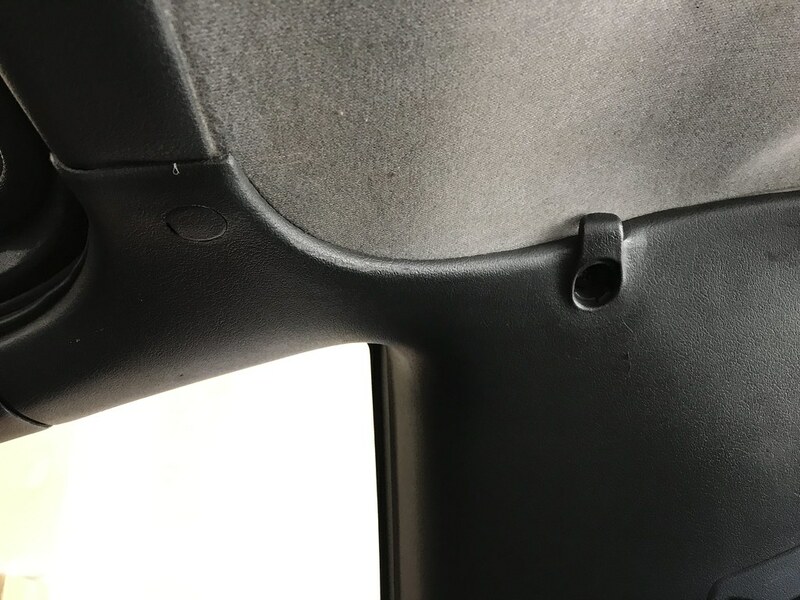 Next on the list was the proper tapping screws for the rear B pillar plastic panels. The screws I was using previously were too small and would sometimes fall out of the panels. It’s really nice to have the proper hardware for thing like this- makes such a difference! 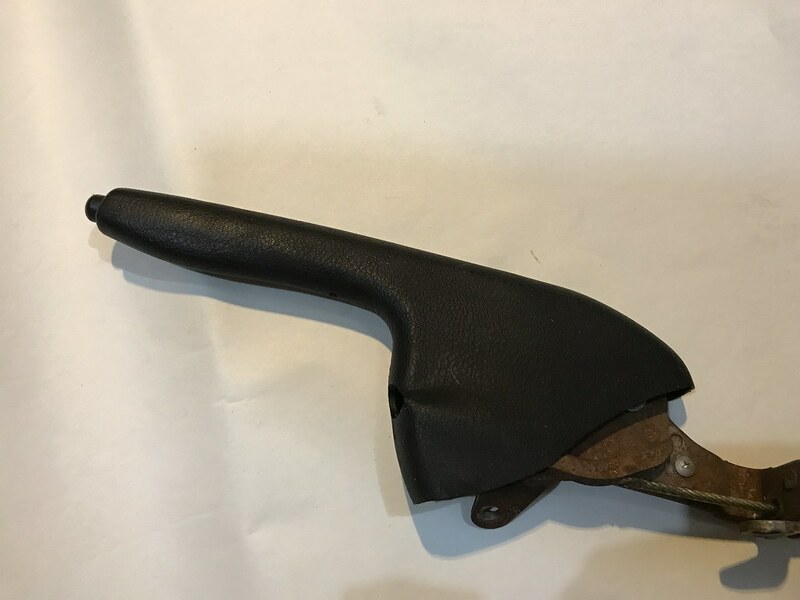 My steering column cover has always been held together purely by the plastic tabs- all six screws have been gone for as long as I can remember. It took me way longer than I would like to admit to install these, but I am happy to report the cover is now mounted securely. 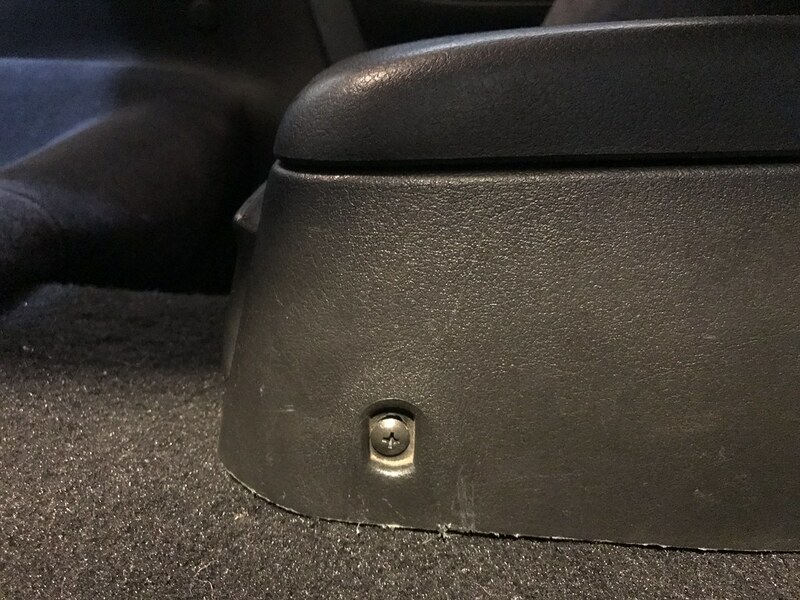 This should help to eliminate another source of vibration in the interior. 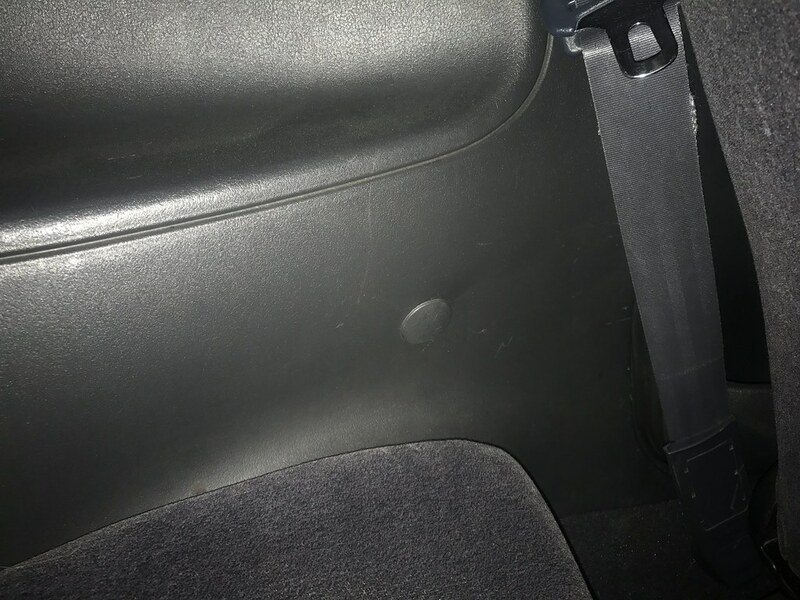 I noticed that the large plastic panels on either side of the rear seat had holes in them. 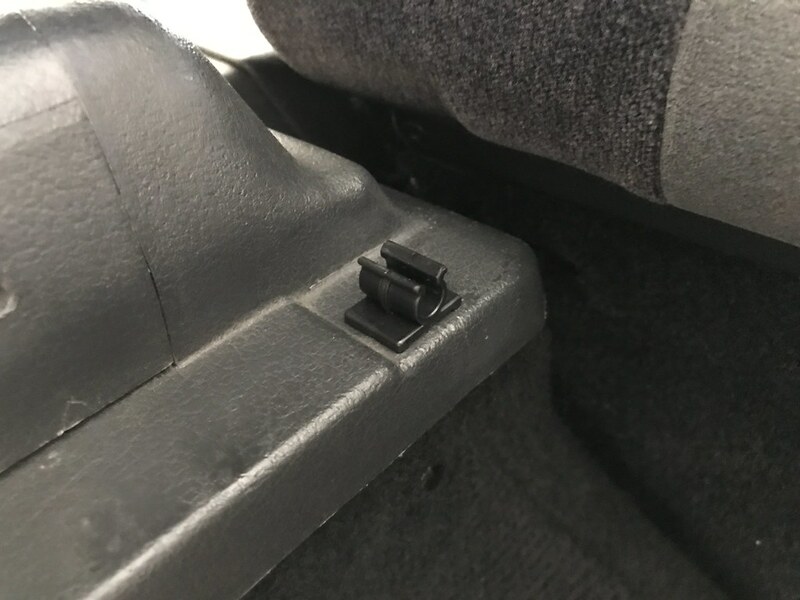 I was unable to find a part number for the proper plastic plugs to cover these access holes, but fortunately found someone willing to sell these covers on a local Facebook page. 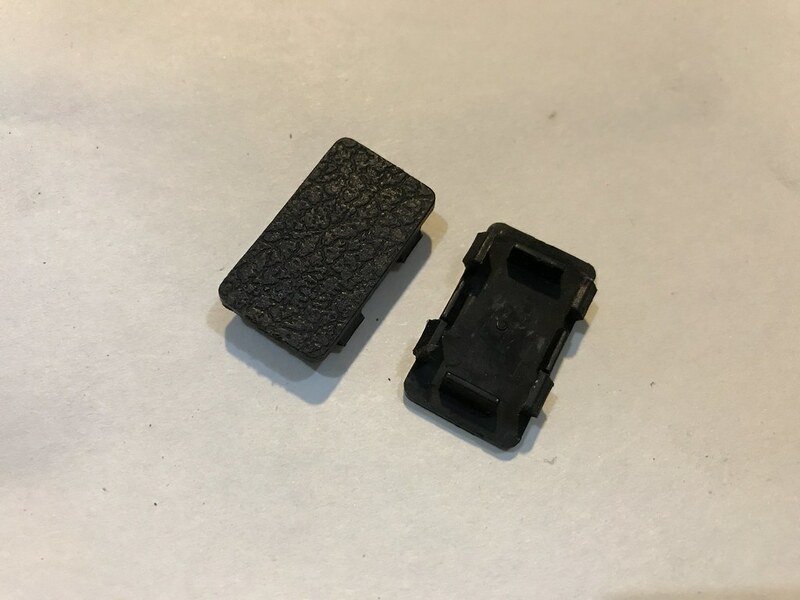 I believe these are used to offer some sort of service access to the seat belts on USDM S13s as 180SX panels do not have these. 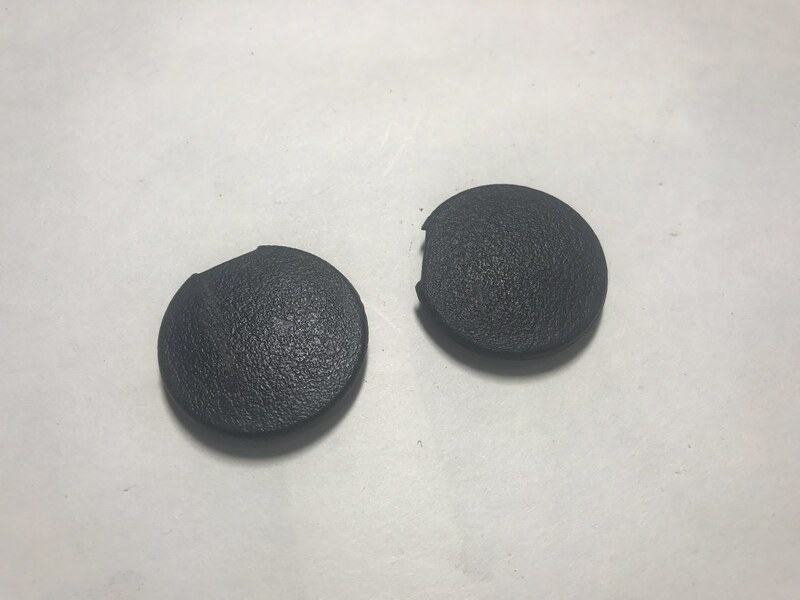 I’d prefer to have the 180SX panels for a cleaner look, but these plugs will work just fine for now. Much better than staring at a strange hole back there. Next on the docket was a pack of screws that really came in handy. Some of the screws I purchased are only sold in bundles of 10 so I was forced to buy extras. 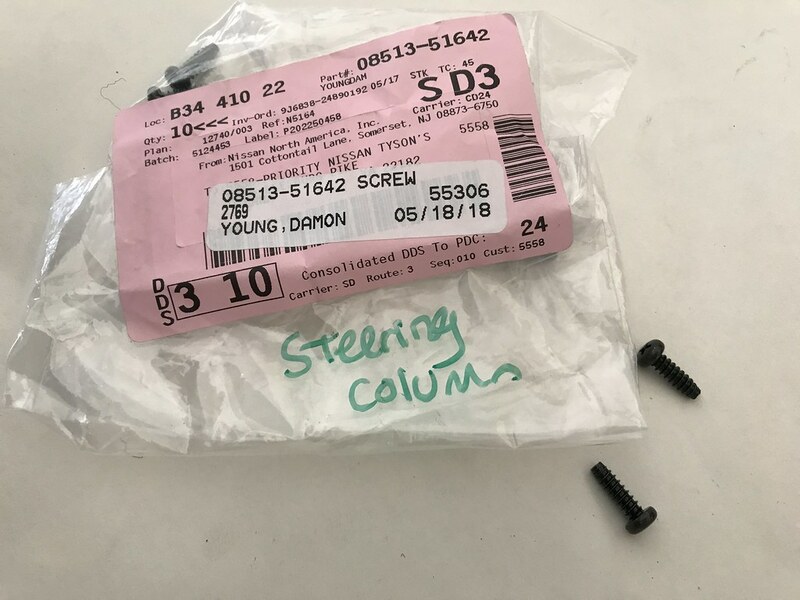 These are the correct screws for securing the center console (six to be exact) as well as the two screws located on the gauge cluster bezel. Both of these have been missing on my car for nearly a decade. 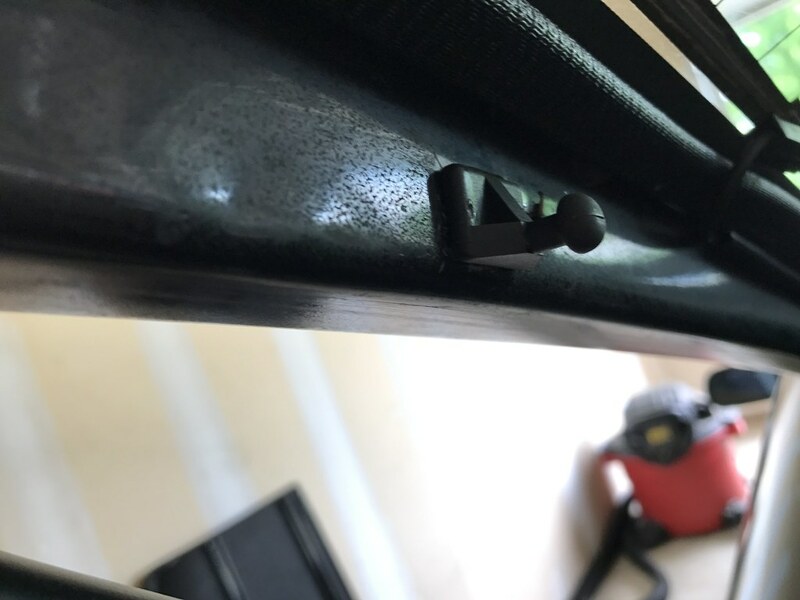 I replaced my door strikers last fall and it made a huge difference in how the doors closed. Unfortunately, the phillips head screws took a beating when I removed them as they had likely been in place for decades. 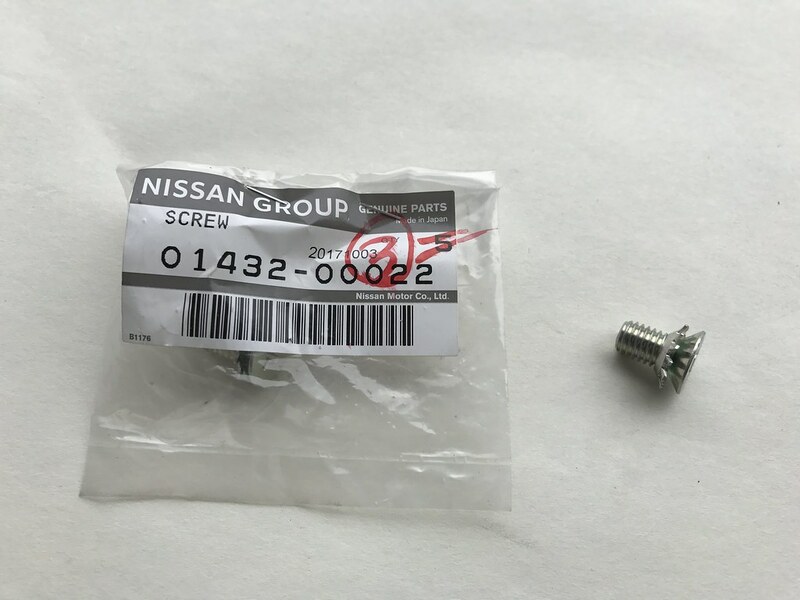 I was finally able to track down the part number for some fresh screws to go with them. 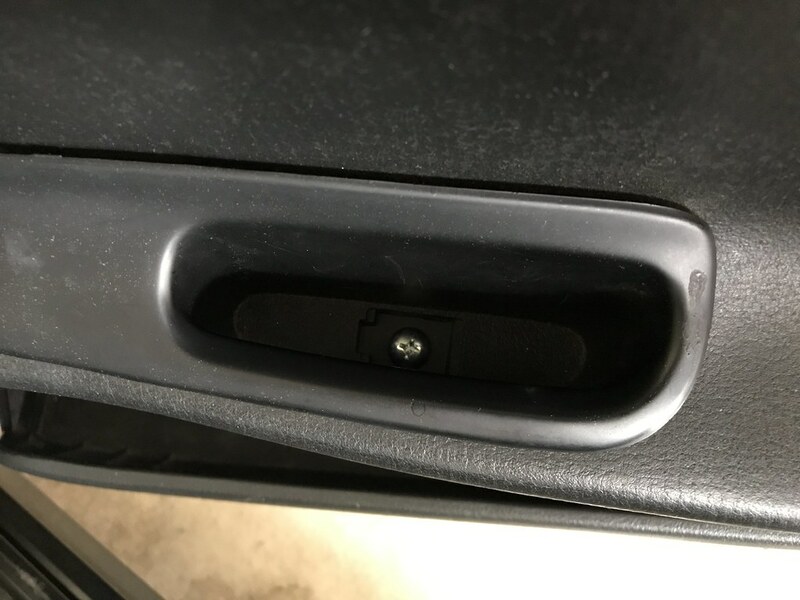 I replaced my door pulls/window switch bezels back in part 1, but realized I was missing the screw that attaches these to the door itself- as well as the plastic access covers for the screws. 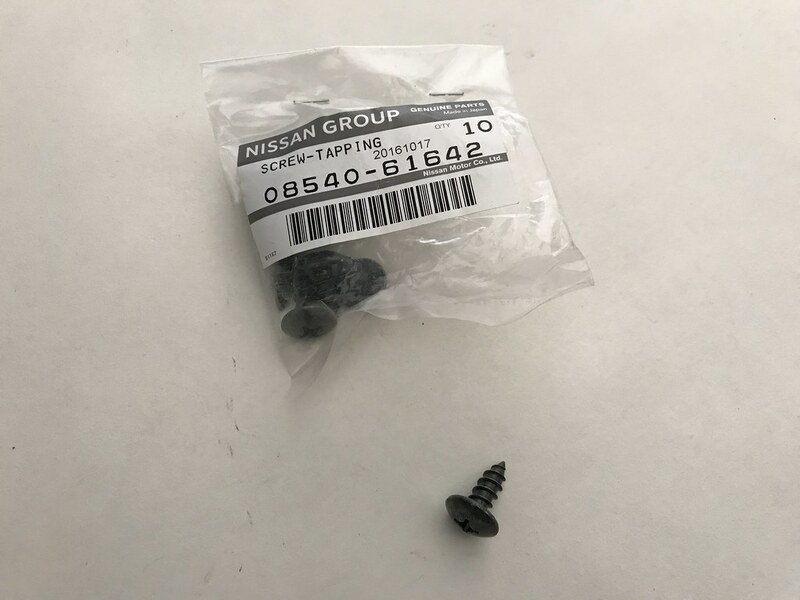 I was able to find a part number for the screws, but the access covers have been discontinued in both the States and Japan. Thankfully my friend Jimmy came to the rescue and sent me his from a car he was parting out. The pair of LE door panels I had lined up fell through. Still hoping to find a clean pair if I can at some point down the road! I decided to part ways with my Defi Link Meter II gauges as I felt they were a bit out of place in the now otherwise stock feeling interior. They’ll always be my all-time favorite gauges and I am sure I’ll have another set in the future. 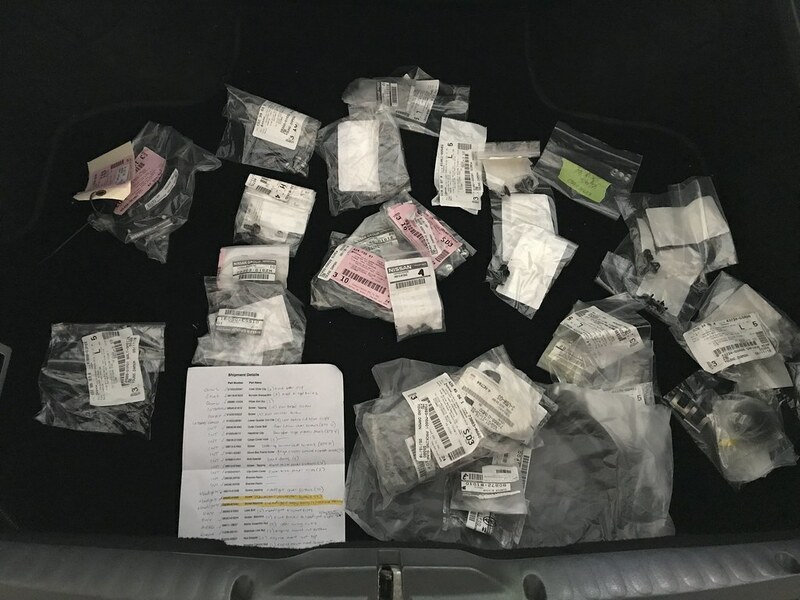 I am in the process of sourcing a clean dashboard to replace my factory one at the moment and hope to have a solution in place soon. 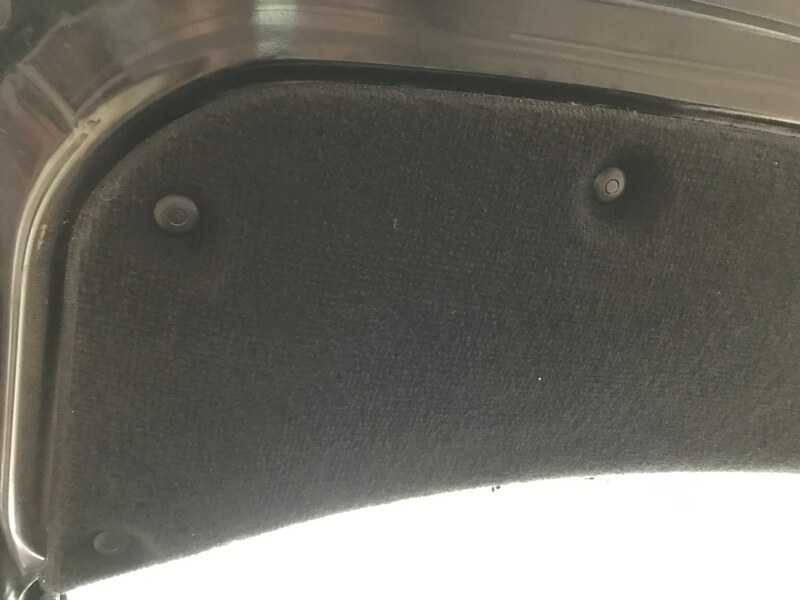 I’ve considered installing a Coverlay dash cover for now, but I’m not sure I will be happy with that solution- we’ll see what happens. All I know is that I need to address this ASAP before it drives me crazy! Some days it feels like I am going backwards with this thing. Here’s how the interior sits at the moment. 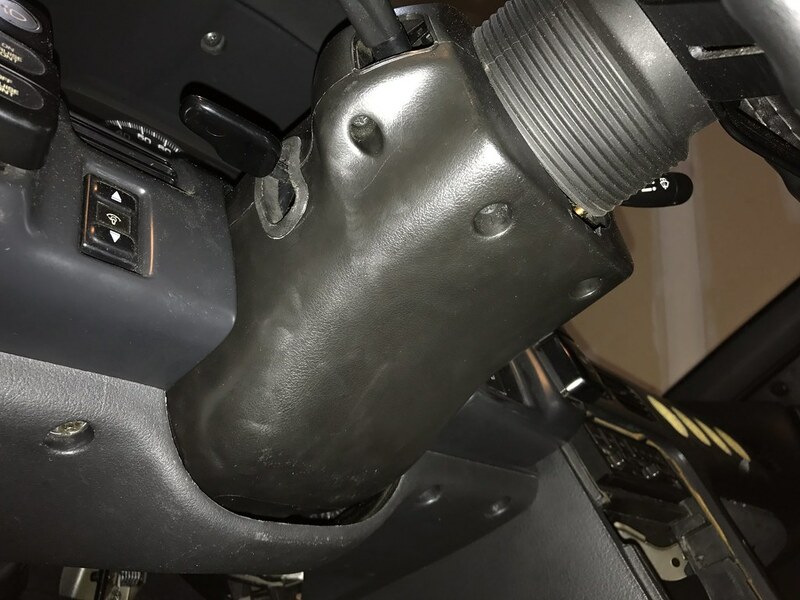 The other interior item I am working on currently is swapping out my emergency brake handle with Cusco drift button for a stock unit. The bright blue button has become an eyesore in my current interior so I’d like to swap it out. More on that in a future interior installment. 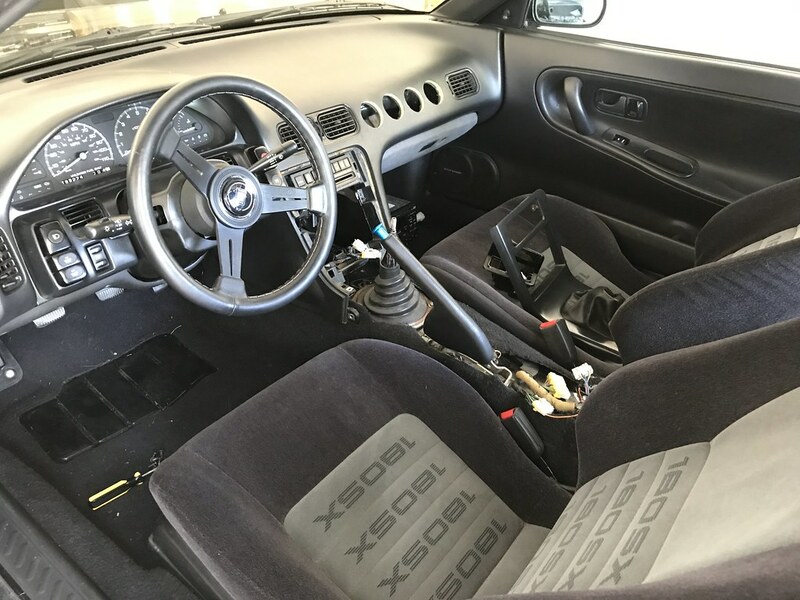 I’ve got a few other interior items arriving next week, so stay tuned for a follow up post related to interior parts sometime soon. Drop me a comment if you’re enjoying these posts or if you have anything specific you’d like to see and I will do my best to deliver- it’ll help motivate me to continue this posting every Friday thing. If you missed Part 1 of my interior restoration posts, you can find it here. As always, please feel free to drop me a line at Damon@camryonbronze.com if you have any questions! You’re not going backwards. I’m taking notes. Thanks for the support Ron! I need the motivation, haha. Keep it up man, this thing will be factory fresh by the time you get done!